Poor scheduling for Canadian fans last weekend. Luckily, out west we were able to watch the Grand Slam Saturday during prime time (8 PM Mountain) but that's 10 PM Eastern, and even later in the Maritimes. The Women's World final was too late for me, so I got up early Sunday, added a splash of Bailys to my coffee and settled in for a PVR'd third battle between Jennifer Jones of Team Canada against a young Swiss skip who appears to be a recent graduate from the Disney channel. Alina Paetz (or Patz, depnding if you have umlauts I suppose) managed to defeat Jones a third straight time, winning her first World Championship and the Swiss third in 4 years, all with different skips. Ok, Alina also won as an alternate with Mirjam Ott (now the Swiss coach) in 2012, but this took a little more effort on her part to gain the victory. After a blank in the first, Alina misses a free draw for her deuece and settles for 1 in the second end. 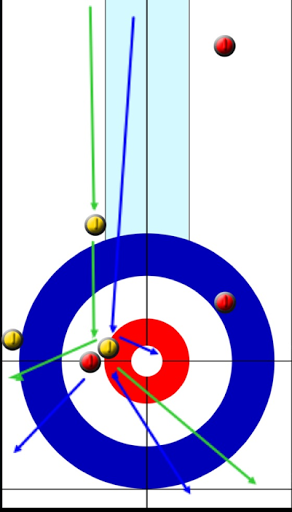 In the third end, Jen first calls a freeze (blue line) but then decides to try a difficult double (green). Think I prefer the draw here. Looked impossible to keep the shooter in play and the triple is not possible. 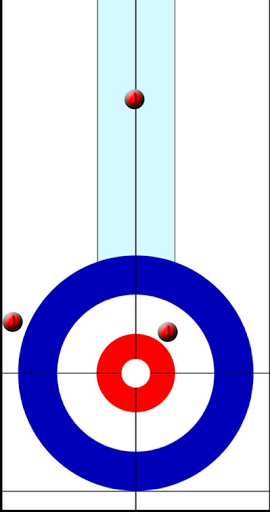 The odds of three seems very unlikely and a good freeze will force Alina into a very difficult shot where, even if she freezes back, Jen will likely have a chance at two or, depending how the rocks line up, maybe a chance at attempting this hit on her last for three or more. Jones then has her first bad miss, rolling away on a hit and stick attempt, handing a steal to the Swiss. Jones is set up for a potential deuce in the 5th but an errant roll by third Kaitlyn Lawes and deep draw by Jennifer on her first leads to a blank. In the 6th, Kaitlyn's freeze attempt comes up short of the rings and creates a Alina then guards, creating a mess. Jen misses an angle hit on her first. On her last she spends a long time looking at what appears to be an unmakeable shot for two. She ends up heavy on a draw attempt, steal of 2, score is 4 to zero for the Swiss. These are the two ends Canada will look back on where the backend missed critical shots when in position to possible score two and tie up the contest. Instead they are down 4 points and have an uphill battle, which they nearly climbed. Two for Jones in the seventh is followed by a blank in eight but a steal in the 9th. In the 10th Canada is in position the entire end, even some potential to steal two and win it right there. 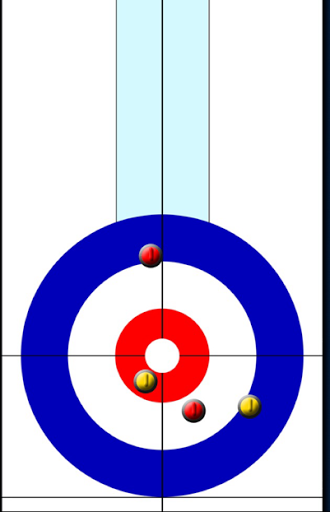 With a path on her final shot, Alina calmly makes her draw, catching a small break when her shooter rubs a Canada stone and still spins to the button for the win. By an inch. Tough loss for Canada but a well earned win by the Swiss. 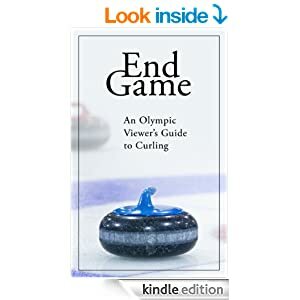 Let's not dwell on the evil doings of relegation, the erosion of live attendance, the residency of players, the transparency of the CCA Curling Canada, a 2 cm tie breaker or whether a Team Canada should be invited. My upcoming article for The Curling News will cover plenty of that and more. For now, I'd rather look at the play on the ice. This Brier had great games and fantastic storylines, none perhaps greater than the winning team swicthing their back-end around midway through the event. The final run by team Canada from the 3-4 game to the semi-final to extra-end victory in the finals, all without hammer, had drama, wild swings, amazing shots, terrible misses and strange decisions. Third end, NL up 2-1 and NO with hammer. Rather than draw half eight foot for one, Brad chooses a long double on rocks at 9 and tweleve o'clock, sitting in the twelve foot. The double allows him to spin out for a blank. Russ Howard disagrees with the call, mentioning Jacobs will often get a single anyway and the risk of going down two is not worth the reward. I'd agree it is ill advised. However, Brad makes it look easy and is able to carry hammer to the next end. With a blank, Jacobs has a Win Expectancy (WE) of 43%. By drawing for a single, WE would drop to 39%. Jacobs attempted a difficult shot that, if missed, would drop his WE to 26%, all to save a measly 4 percentage points. I'd estimate he needs to ensure he avoids a steal 90% of the time for it to be the correct call. Poor decision but great execution. And then Jacobs gave up a steal the next end anyway. NL now up 3-1 after 4 ends. In the 5th end, critical mistakes by NL help NO generate a 3 to get back to 1 up. On Mark Nichols first, Gushue choses to hit the third shot at 11 o'clock in the top 12 but rolls in front of the four foot. If he had rolled out completely, Jacobs would have been forced to play towards the two rocks in the back of the rings and possibly leave a double. Instead he's able to draw around the stone and bury back four foot. On Gushue's first he choses a raise takeout (green line) rather than the draw (blue line). Gushue mentions if he doesn't make the draw correctly he leaves Jacobs a double and will be in trouble. However, he is drawing to sit 1st, 3rd and 4th. The runback created more danger than he first suspected. His thrown rock stays to guard the four foot, but now sitting 3rd or 4th shot. The raised stone pushes the second shot back and then spins to second shot, covering part of the shot yellow stone belonging to Jacobs. This allows Jacobs to draw around again to lie two. The danger on Gushue's runback is, even if he makes the hit and sticks it, the raised stone needs to be perfectly buried or he leaves a shot for Jacobs anyway. The draw appeared to be a safer choice but also the worst possible scenario occured. After Jacobs buries his first, Gushue could chose to pick out second stone and concede his two or also attempt the same runback he just played. He now decides to draw and ends up leaving Jacobs a shot for 3. This might have been second guessing his first shot and decided to make the draw this time. Now he might be better to concede the deuce but a case can be made for both decisions. The difference of tied with hammer over one down at the halfway mark is about 20% in WE (60 to 40). If he is able to force Jacobs to a single, WE increases to 80%. If the freeze attempt is anywhere in front of shot stone but short, Jacobs is likely drawing for 2 anyway as a raise double will still only score 2 points. Unfortunately Gushue's attempt hung out much to wide and left the shot for three. An end that demonstrates how without guards even a simple situation can sneek up on you quickly. Gushue can look back and consider several spots where he could have chosen a different decision or executed differently and produced a better outcome. In the 6th end, Gushue gets rocks in play and appears to be well set-up to score a multiple, but Mark is light on a draw, Fry makes a double and roll and puts pressure back on NL. On his first, Gushue has a corner guard and a chance to get a skip deuce but tosses it heavy and is forced to 1. 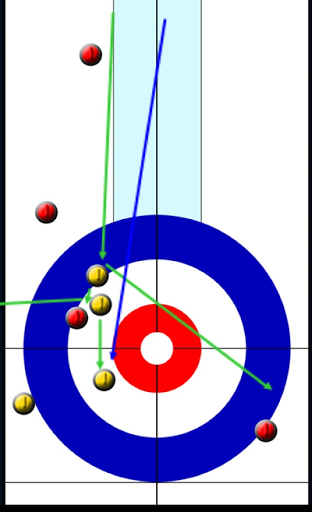 In the 8th end, Gushue is down 5-4 with hammer and attempts the runback to sit 2 (green line). Russ mentions he might be better to try to hit the yellow (blue line), lose his back stone but still sit two. Gushue ends up removing his own and leaving Jacobs sitting shot. I side with Russ again on this call, or even just a draw tap. The runback was a risky shot that even if made perfectly, leaves Jacobs the same shot he just threw. Jacobs eventually slips up and leaves a possible double for two but Gushue hits a little thin and only scores a single. They are considering to stick, roll away or roll behind. They appear to decide to try and roll behind and make Gushue make the draw. I prefer they roll away (which they do inadvertantly). The guard is long enough that a shot for two is very likely if Gushue draws and if he instead decides to hit, a blank is the most probable result. By rolling behind Jacobs will only leave another rock for Gushue to draw behind and create the force or even a steal. They could chose to stick right there, if Brad draws they would have a simple angle tap on their last, but if Gushue hits (which now will be more likely) he will have a much easier hit and roll. Gushue's draw comes deep to the top button, giving Jacobs an easier shot to tap it back and score their deuce. In the 10th, Gushue is run out of rocks and NO heads to the finals while NL drops to the semi-finals. Early in the week, I had written off TC. They had not played well during the season and their body language suggested to me they were there to fullfil an obligation and ready to head in other directions next season (including retirement for Carter and running back to Moose Jaw for Simmons). The switch of John Morris to third and promoting Pat Simmons to skip brought them new life and more inspired play, going 5-1 after a 2-3 start to make it into the 3 vs 4 game against Saskatchewan's Steve Laycock. The teams trade singles for the early ends until a jam on a double attempt by Laycock leaves TC with a draw for 3. Saskatchewan down 4-2 with hammer at the break. Eventually by the 10th end it's the same situation, 7-5 for Simmons, hammer belongs to Laycock. Disaster on John's second shot gives SK a potential for three on Steve's final shot. Laycock hits a little too thin, loses his shooter and the promoted stone but still scores two to tie. Disaster avoided #1 for Simmons. But in the 10th end, TC lead Nolan Thiessen misses the tick shot on his first so they choose to draw in behind the two centre guards. Eventually, sitting one on the back button with a SK stone half top four in front, Pat decides to draw on his first (green) rather than peel the centre guard (blue). He is attempting to guard the tap, but the rock doesn't curl as much as he'd like, leaving Laycock a pick shot. Steve barely rubs his own rock and Simmons doesn't need to throw his last stone. The pick normally wouldn't have been too dangerous, the four foot was still open, but two corner guards made the path to the button difficult. This was likely why Pat chose the draw on his first rather than the peel. There was some chance he could have made a double peel but he felt his first rock would curl enough to cover the pick. Disaster averted #2, and Team Canada heads to the semi-final against Newfoundland. Jordan, Gerry and Kevin chat during Thursday afternoon of the Tim Horton's Brier. Includes coverage of the first ever Pre-Qualifier, thoughts on new branding for the CCA, controversy between Ontario teams, and results from TSN's two-game-per-draw broadcasts.